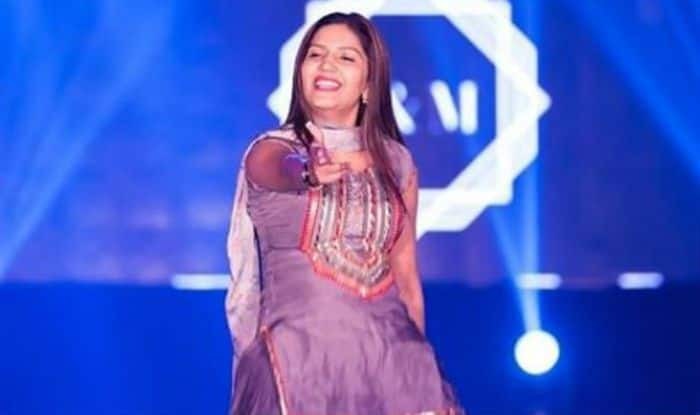 Haryanvi dancer and singer Sapna Choudhary was recently in Bhopal for her stage show and as expected she has burned the dance floor with her killer dancing skills. Now, the video from her stage show has made its way to social media and is going viral. In the video, Sapna is seen dancing to her latest song ‘Taliban’ and crowd can be seen cheering and hooting for their favourite performer. Dressed in a grey salwar-suit, she flaunts her thumkas on the dance floor. She has accessorised her look with bangles, a pair of earrings, a nose ring, watch and minimal makeup. The video will make you watch it in the loop and dance it to its beat. Sapna Choudhary, who is known for her impeccable dance moves, has once again put the stage on fire with her latke-jhatke. Sapna has also been treating her fans with her beautiful pictures especially after her transformation into a fashion diva. She has also lost tons of weight and is now all geared up to make her Bollywood debut with Dostii ke Side Effectss. Talking about the Bhopal stage show, she has also shared pictures on Instagram. Earlier, Sapna has bombarded social media with her tik tok videos and looks like there is no stopping to her. Recently, she has also shared her picture collage in a brown top teamed up with black leather denim and furry jacket. With metallic makeup, golden neck piece and hair, she looks hot as she beams with happiness in the photo.